The gastric bypass, also known as the Roux-en-Y Gastric Bypass, is a bariatric surgery that works by restricting the amount of food intake in addition to reducing absorptive capacity of food ingested. The cost of a gastric bypass depends on where you choose to have surgery and your individual needs. The pricing differential depends on many factors, such as cost of living, exchange rates, practicing costs or regulatory conditions, which may differ greatly from country to country. 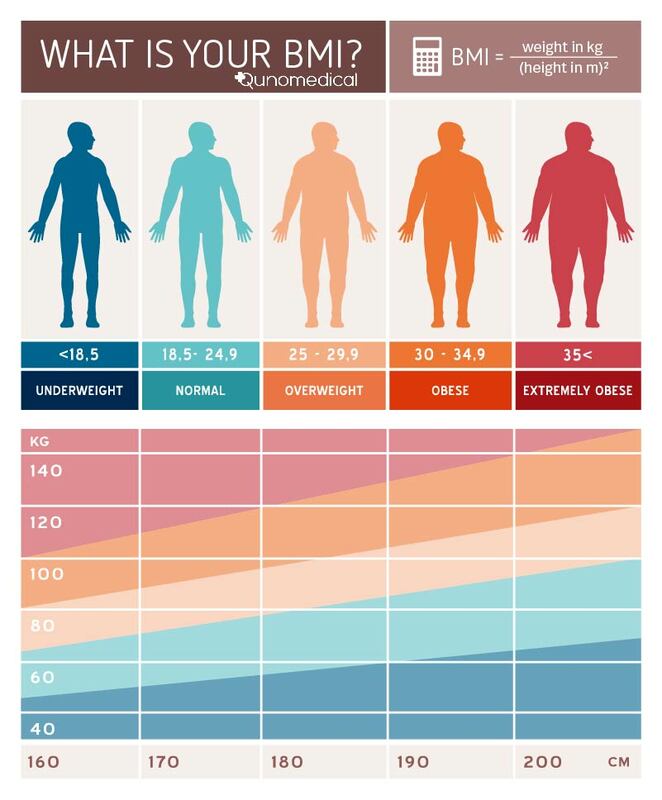 Body Mass Index (BMI) is a globally accepted measure of body fat based on the relationship between height and weight. If patients urgently need to lose weight but cannot do so by alternative means, a gastric bypass may be recommended. As the name suggests, this procedure diverts food and liquids as they pass through your bowels. By doing so, surgeons can drastically reduce the amount of food needed to create a sensation of "fullness", and weight loss tends to result. How does a gastric bypass surgery work? During the surgery itself (also known as a "Roux-en-Y gastric bypass"), doctors restrict the stomach using surgical staples, leaving a walnut-sized pouch. The surgeon will then reconnect the patient's small intestine (duodenum) to this small pouch, bypassing the rest of the stomach and artificially limiting the capacity of the body to ingest food and drink. There are different ways to access the stomach area to carry out the surgery. In the past, surgeons would generally make a broad incision across the patient's belly to access the stomach. Modern techniques are less invasive, using tiny cameras called laparoscopes to provide a view of the stomach. With the help of the laparoscope, surgeons can then insert the tools they need to use into tiny incisions, which heal faster, resulting in shorter inpatient stays and less pain. When you choose to undergo a gastric bypass operation, expect a lengthy process of preparation before you reach the operating theatre. Medical staff will want to ensure that you are a suitable candidate for surgery, as bypasses are generally seen as a last resort. Diet is also an important part of the process. Shortly before the operation, expect to be required to follow a diet that is designed to reduce fat deposits around the stomach and liver. For a brief period following surgery, a purely liquid diet is essential. After that, patients need to gradually adapt their food intake to suit their restricted stomach capacity and recovery process. The stages in this diet will be clearly laid-out by gastric specialists and vary from patient to patient. During the surgery itself, patients will be placed under general anaesthetic. Recovery times vary, but will be much shorter if a laparoscopic technique is used. In any case, the healing process usually lasts 3-5 weeks, and most patients leave hospital within 3 days. Gastric bypass procedures always lead to major lifestyle changes. This is most obvious in the food and drink that patients consume. They will need to radically both the amount that they eat and the nutrients they include with their meals. Bypass patients tend to require higher quantities of vitamins and minerals, generally derived from fresh fruits and vegetables. They usually reduce their intake of sugars considerably, while maintaining a high protein intake of 60-100g per day. The vast majority of patients also need to take multivitamins on a daily basis following their gastric bypass, including the full range of micronutrients, from Vitamin D to Iron and Calcium. Hydration also becomes vital. Bypass procedures tend to reduce the body's capacity to absorb water, meaning that patients should make a point of rehydrating regularly, even if they do not feel thirsty. Physicians may make additional recommendations, such as avoiding non-steroidal anti-inflammatory drugs (NSAIDS), which can inflame the stomach. And they will recommend a fitness regime in almost all cases. Although gastric bypasses radically restrict calorie intake, they must be combined with physical activity to maintain weight loss. Most patients change their lifestyles to include gym memberships or increased exercise as a result. Don't expect a gastric bypass to immediately result in weight loss. It's the start of a process which almost always leads to huge weight reductions, and not the end point. Try to ease out unhealthy foods or alcohol before your surgery, and get used to creating meal and shopping plans. This preparation will help a lot after the procedure. Try to get on your feet and active as soon as you can (and as soon as your doctor clears you to leave your bed). Make sure you follow the dietary recommendations of your doctors immediately before and after the procedure, and don't be tempted to snack in hospital. Enlist friends and family to help you follow your post-op diet. Their support can be the difference between losing weight fast and relapsing, so bring them on board. Be as active as possible when you're back to full health. The key to a successful bypass is to lose weight quickly and make lifestyle changes which make that loss permanent.